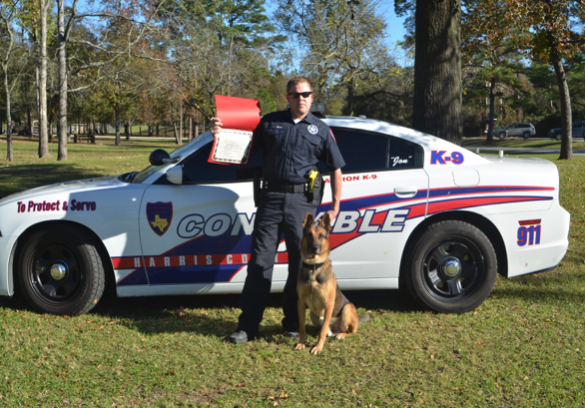 Spring, Texas – January 21st, 2016: On January 12, 2016 deputies with Constable Mark Herman’s Office responded to the 25400 block of Aldine Westfield Rd. in reference to an aggravated robbery. Upon deputies’ arrival, the complainants reported that three (3) black males, with masks covering their faces, had entered the business and robbed them. The complainants stated that the males were armed with pistols and a shotgun and had fled the location in a vehicle. The suspect’s descriptions were broadcasted to nearby deputies in an attempt to locate them in the area. A short time later, a deputy spotted the three suspects leaving a nearby gas station in a truck and attempted to conduct a traffic stop. During the pursuit, two (2) of the suspects jumped out of the vehicle and fled on foot. The driver continued to the 23300 block of Whispering Willow where he jumped out of the vehicle and attempted to flee on foot and was apprehended by a Precinct 4 K-9 and did sustain several bites from the K-9. The juvenile was arrested and booked into the Harris County Juvenile Detention Center on charges of Aggravated Robbery with a Deadly Weapon, Theft, and Evading Arrest with a Motor Vehicle. Further investigation by Constable Deputies is ongoing to identify and charge the other two (2) suspects that fled.